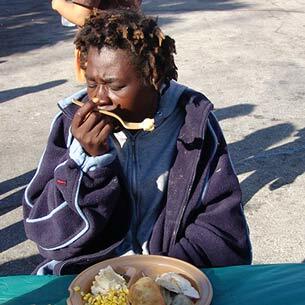 $2.00 Dollars Provides a Meal and Hope to someone who is hungry and hurting. Hope often begins with a meal. When you help with a one time gift or a recurring gift, you are helping to change a person's life. When you become a member, we will send you a special Meals-a-Month wristband. Join our "Meals-A-Month Club". 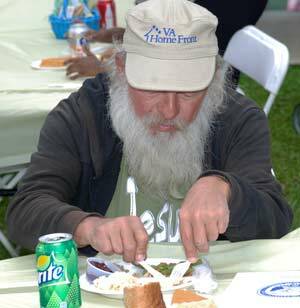 For as little as $10 a month or more, you can provide healthy meals to hungry members of our community! You're compassion and generosity will provide meals during the year for those that are in great need. Hope often begins with a meal. Hurting men, women, and children are encouraged to begin new lives. The most basic needs of those that come to our Centers every day. The tools and knowledge needed by our friends and neighbors to transition back into society. The future of the Miami Rescue Mission and Broward Outreach Centers. Becoming a "Meals-A-Month Club" member is easy. Select your gift options by submitting the form. Once we receive your donation, we will send a special "Meals-A-Month Club" wristband. For further details on Meals-A-Month Club, please call 305 571-2206. You will provide meals and hope for a better future!